See what features Adigo offers that you can’t get anywhere else. Providing the highest quality audio conferencing for your organization. See the difference a clear call can make. Variety of solutions that provide all the tools you need to engage your audience. Event conferencing for your conference or seminar to connect people in real time. No matter how large your company is, Adigo is there to help make the switch as seamless as possible. We offer complimentary training that shortens the learning curve for your staff and then follow up after training to assist with fine tuning staff preferences and settings. We assess your business and how your staff collaborates while we review your current pain points. Then we look for ways to solve for these issues and find additional ways to return savings to your bottom line. After it’s all said and done, we will configure a solution to meet your specific needs and ensure that you can make the most of your conferencing experience. The average conferencing organization loses $688 per month due to low-quality, web and video conferencing. 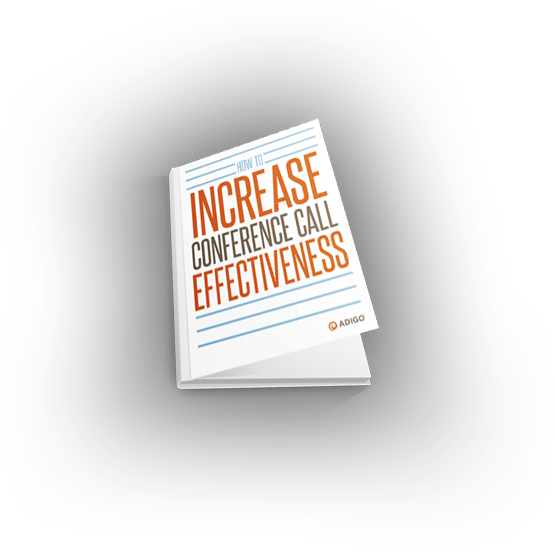 Learn how to increase conference call effectiveness.